BelindaSelene: 8 PHONE APPS THAT MAKE & SAVE YOU MONEY! 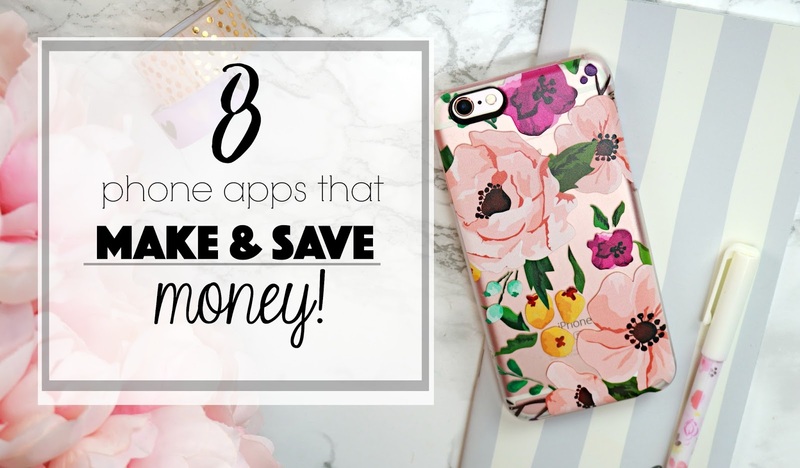 Watch my latest video to see what are some of my favorite apps that have helped me redeem cash back, make a little extra money, and save too! Apps are all listed below for your convenience. You can make more money in 60 seconds than many people make all day if you are willing to take a risk. Select a legit binary broker from our top list above and create your account. Deposit what you are willing to risk and start trading https://www.7binaryoptions.com for money. This apps can be pretty handy. Apps are kind of good source to keep an eye on the discount and coupon code. Thanks for sharing. The great thing about Best Ringtone is that the sheer volume available means that you can change your ringtone as much as you want. Making money online was my dream but now I'm thinking its possible in reality. Hope your suggested apps may help me. The best money making Tips goes even beyond that of persistence. The very best money making tip that I can offer you is to take a chance. Tracing mobile free business calls can be quite a chore, if you've done it, then you know how excruciatingly frustrating it may be. That is why you have to find out a person's phone number, unknown phone number by using something called a reverse phone directory! The great thing is that you can start today and quickly find out who may be calling your house without this identity! The data you have posted is extremely valuable. The locales you have alluded was great. A debt of gratitude is in order for sharing... Total PIP count at the end of each week.